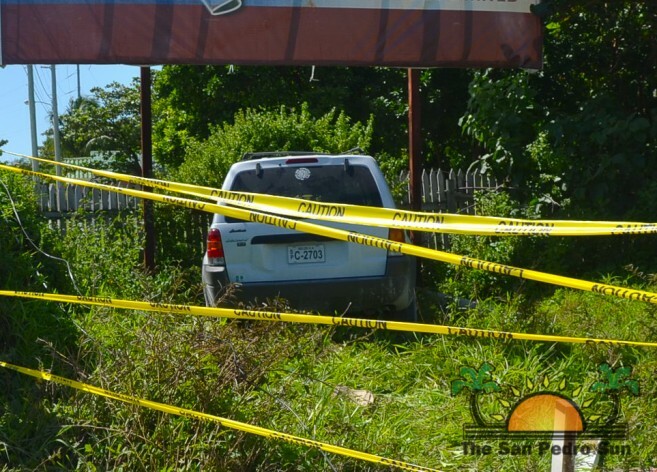 On Sunday, Febuary 2nd, the San Pedro Police Department and the San Pedro Traffic Department responded to reports of a car accident at the corner of Seagrape Drive and Mar del Tumbo Drive at around 4AM. 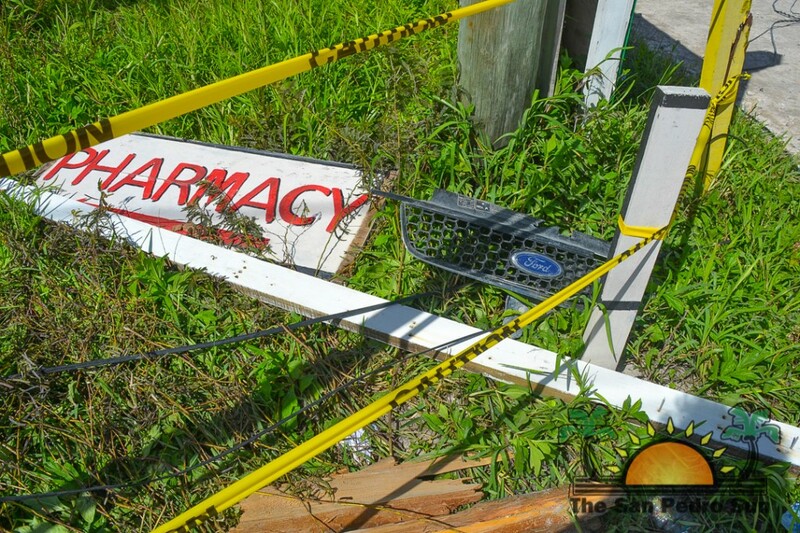 Upon arriving at the scene, officers noted that the car had slammed into a utility pole located in the intersection of the street and then crashed into the fence of a corner lot in the area. 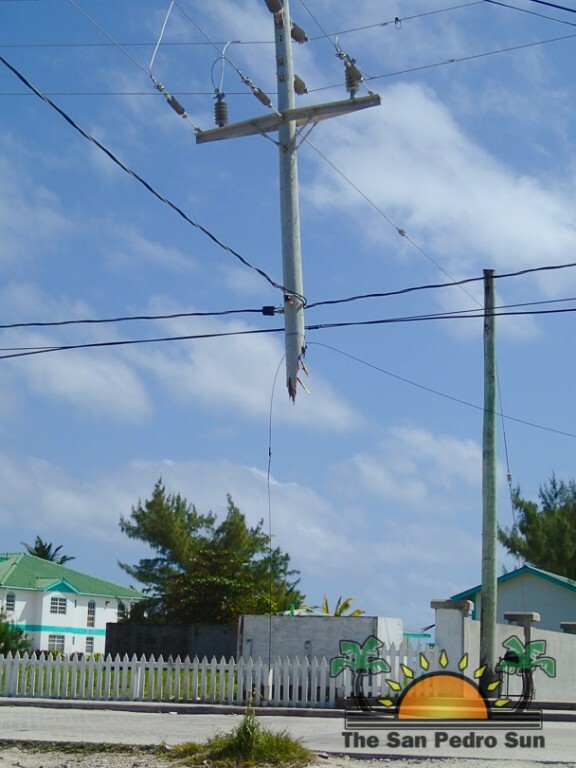 The lower part of the utility pole was completely detached for the upper part, leaving the portion in mid-air, sustained only by the utility wires and cables. 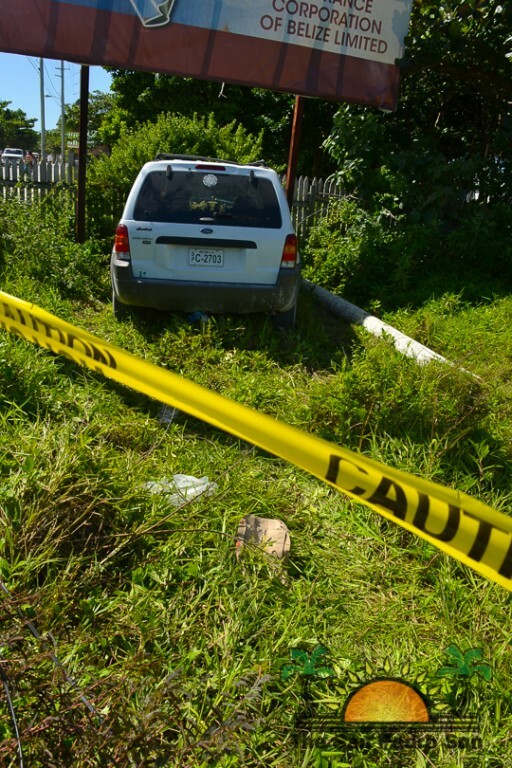 Driving the vehicle, a white Ford SUV licensed and registered under Raymundo Nuñez, was Raymundo Nuñez Jr., who only suffered minor scrapes and bruised. 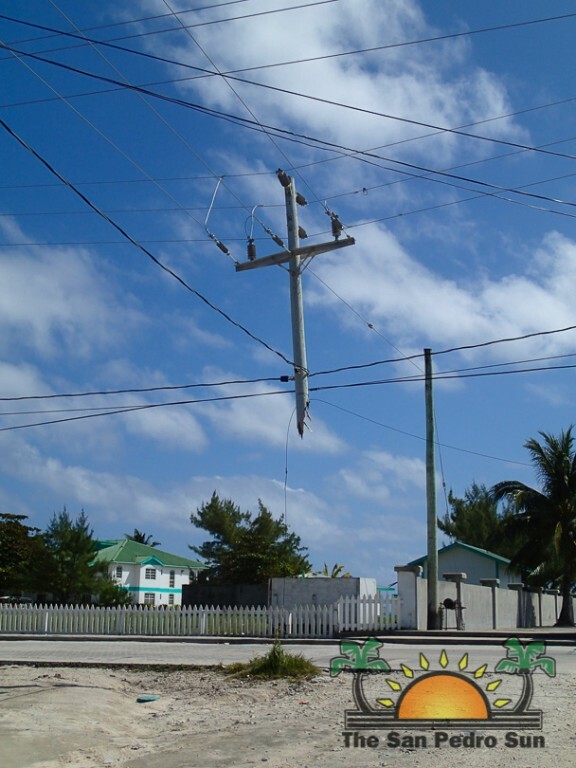 According to reports, Nuñez lost control of the vehicle, causing it to run into the pole. Traffic officers reported that upon impact, the vehicles’s airbag deployed, preventing Nuñez from being seriously injured. The repair cost for the utility pole is estimated to be between $4,000 to $5,000. No charges were brought against Nuñez. The San Pedro Traffic Department would like to take this opportunity to remind all motorists to drive with caution, especially during late hours.